Basketball tournament is almost finished (two weekends to go) and then it will be time to direct attention to Track and Field and Lacrosse. 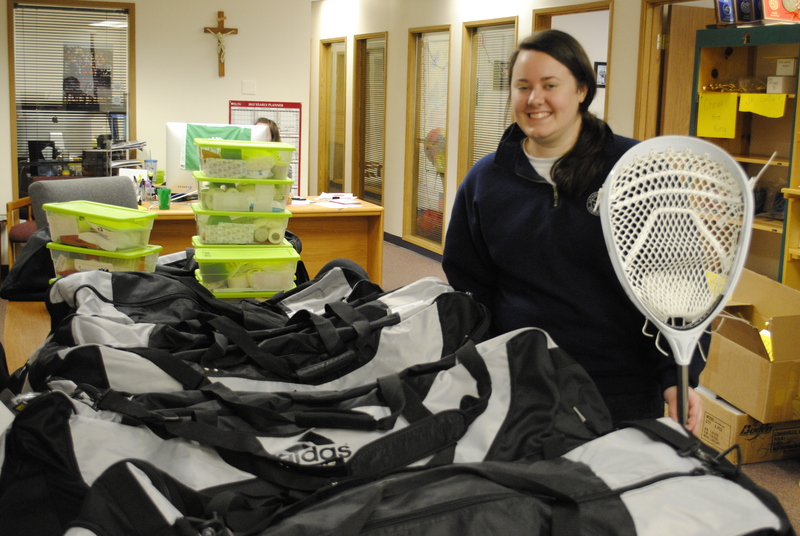 Juliette Friel, CYO Director of Football and Lacrosse is getting the gear ready for coaches. She will be handing material out at a coaches meeting on Sunday. ← Have You Seen Camp Howard After a Snow?